"A new server less container solution for AWS!! " i have been using AWS Fargate for 1 year , it's a launch type within existing ECS(Elastic Container Service) , before introducing it most customer were running their application on AWS EC2 only , and that was really hard to configure and as a cloud architect you were supposed to mess up with so many things while deploying an application , but with AWS Fargate we can able to decouple the packaging of the application from the underlying OS, and it also enabled certain level of isolation between the different application running on a single OS ,it made the task of building cloud native application very easy!! it requires some amount of experience on Amazon EC2 and knowledge of some services , it's not that much easy to directly implement it!! widely used service for building , deploying clod based applications and it's very easy to scale up and scale down as per your requirement using AWS Fargate,and the pricing are veery transparent you only need to pay for what you use!! we're using it for around 1year to build cloud native applications!! "you can rapidly deploy application by using AWS Fargate!! " i have been working with AWS Fargate for 1-2 years , and as a cloud architect it's a boon for me , as we all know currently companies are moving towards containers for developing and managing their applications , and for all that things the AWS fargate is the best solution , it also offers multiple container product to help you deploy and manage the container , do you know what it becomes so easy to scale up and scale down dynamically when you're using AWS Fargate , so that AWS users can easily run container work loads in production!! AWS Fargate is costlier when compared with other services ! ! one of the widely used service for easily running , managing containers even without having to manage EC2 instances , it's very easy to use and you can also find some good tutorials on the internet , so my suggestion to you that you should get your hands dirty on it and try to explore it . ! ! we use AWS fargate to manage and scale containers !! "Run Containers Without Hazzle Of Managing Servers." AWS Fargate allows you to run containers without managing servers or clusters.It gives you freedom of not choosing the server type and managing clusters.It lets you focus on designing and building clusters instead of managing vm's of servers.It comes in 2 modes fargate launch type and ec2 launch type.The prior one allows you to just design the containers choose the CPU requirement and create IAM policies and memory management and then finally launch the application.The later one ec2-launch type haves you to have more server level granular control over your application.The fargate has many benefits like freedom of not choosing cluster,easily scalable container and easy integration with ec2-instance. I have nothing to dislike about amazon AWS fargate. I would recommend using AWS Fargate to people who use servers and clusters for developing application specific services.You can go for AWS Fargate which gives you an option to integrate it with ec2-instance.Using AWS Fargate you just have to design the containers and then specify the hardware requirements and then release the application for usage.It is recommended tool for designing containers without managing servers or clusters. 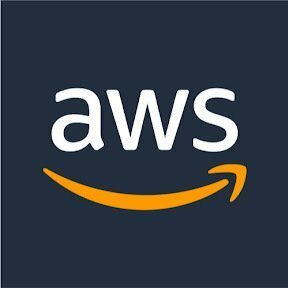 I am using amazon AWS fargate with ec2-instance for developing containers for application specific services.It gives us freedom of not managing servers and clusters instead focus fully on developing the container and then just specify basic configuration of container like cpu,memory,networking and then launch the application.It has served its purpose at its best. "A brand new server less container solution fr AWS!!" It made job of deploying and maintaining containers very easy so that we don't need to worry about underlying infrastructure , it's very handy when compared with Managed Clusters , it's really simple to use because there is no cluster to manage , no underlying infrastructure needs to be managed!! As it's a new product and introduced in 2017 the quality of support is not so good! By using it we can run containers without having worry about servers or clusters , and it's very easy to use !! we use it for running and managing containers !! "Great experiences so far, use it all the time!" I’ve never had any bad experiences with it. We use it for most of our events here at work. "Best way to run containers in AWS without hours of setup"
Pricing isn't great and didn't fit startups needs. I happy that we have amazon credits to use it. Check documentation or workshops about it. "User Friendly and Reasonably Priced!" The backup recovery and the fundraising features for non-profit saved us. "AWS Fargate - Simple Container Management that simply works"
As with most Amazon AWS products, Fargate's UI is simple and very easy to navigate. I love that the EWS Fargate product allows for container storage management without the management of servers, as well. I dislike nothing about Amazon AWS Fargate. Keep container management with all your other web services for ease-of-use and management. Simple, clean billing and services backed by excellent support that provides great ROI factor. We use Fargate because we want to automate management and scale clusters. AWS Fargate application interface is relatively difficult to use. Runs containers without having to manage servers. maximum container storage for tasks is limited. * We monitor all AWS Fargate reviews to prevent fraudulent reviews and keep review quality high. We do not post reviews by company employees or direct competitors. Validated reviews require the user to submit a screenshot of the product containing their user ID, in order to verify a user is an actual user of the product. Hi there! Are you looking to implement a solution like AWS Fargate?